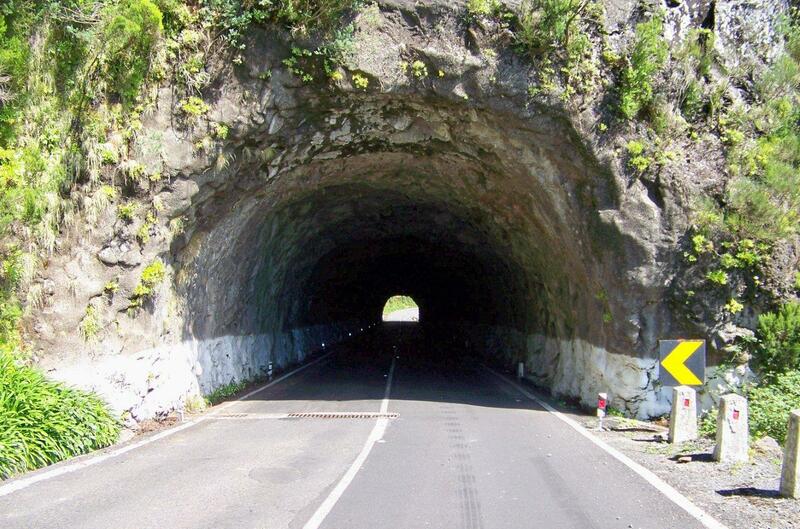 DRIVING through pre-dawn Madeira is like driving through pre-dawn Spain. 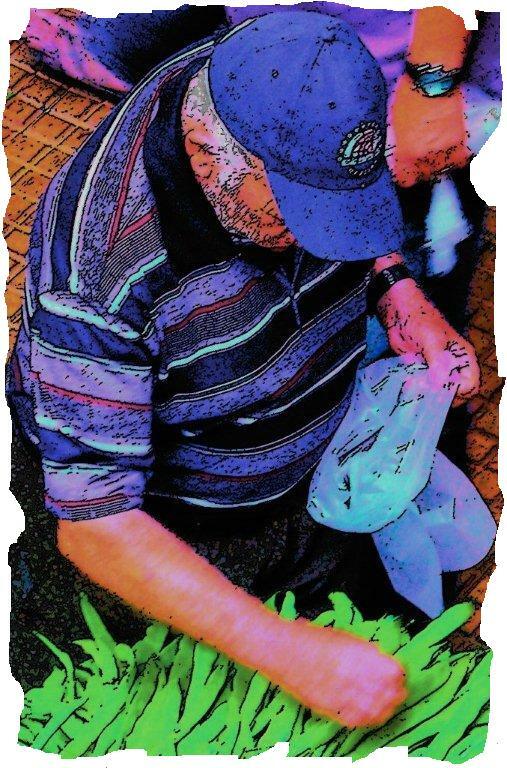 The roads are quiet; the villages are dark; but in every main street there is a bar where men gather to drink coffee in pools of yellow light before the day’s work begins. 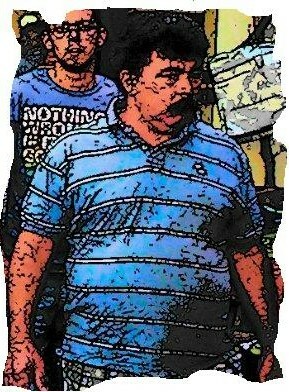 I hear their laughter as I pass and catch glimpses of them in their ubiquitous stripy T-shirts. And the aroma of coffee drifts through the car window as I head towards the mountains . . . 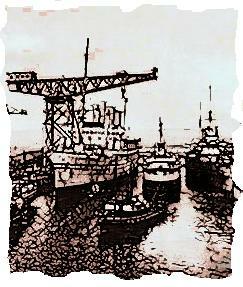 In Ribeira Brava, where my road veers up towards the sky, I stop at a petrol station. More yellow light spills out into a world that is only just turning grey in the east. There are more men in stripy T-shirts drinking coffee. 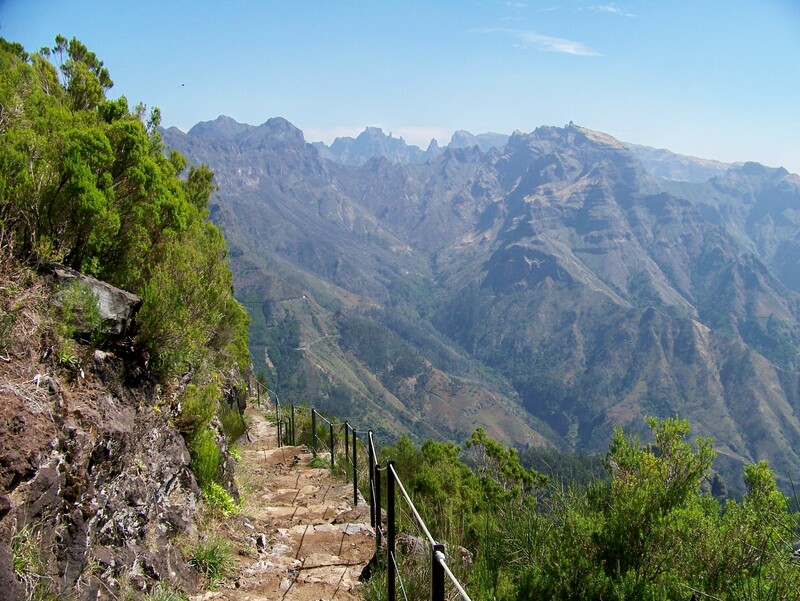 This is Madeira coming to life – people standing at roadsides waiting for lifts; schoolchildren gathering beneath lamp-posts; old women carrying sacks from one door to another. 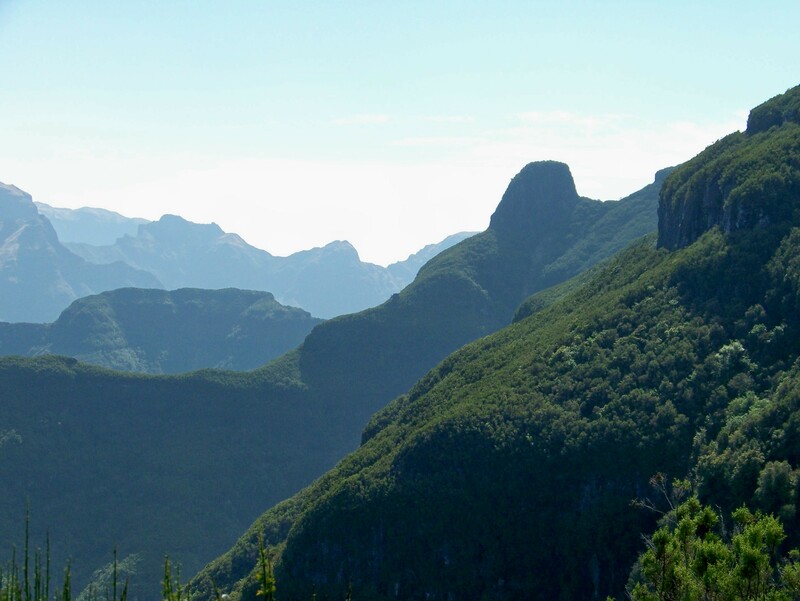 As I drive up a zigzag road from Serra de Agua, out of the great gorge that almost cuts the island in two, the mountain ridges turn from black to shades of grey and blue, and rise before me like the spines of ancient animals. God, what an incredible place this is. Levadas – I mentioned them briefly in my previous post. 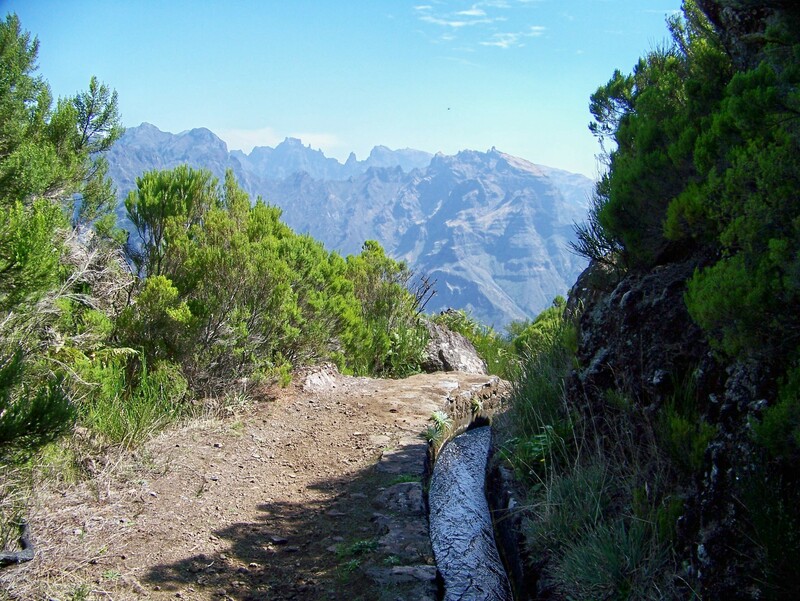 Levadas are manmade channels that gather streams from the wetter northern side of the island and divert the water along high terraces to the southern side, providing irrigation and hydroelectric power. 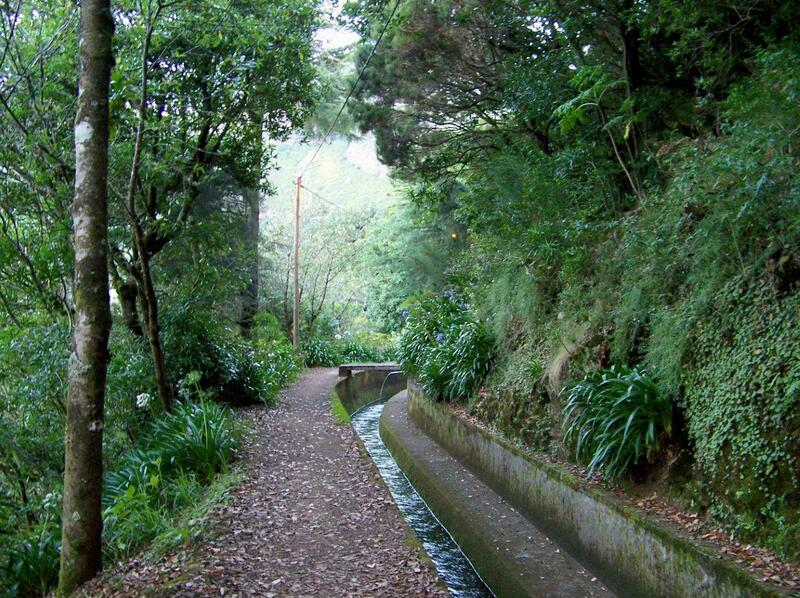 Today I’m going levada walking. Do not assume that this is the sissy option. 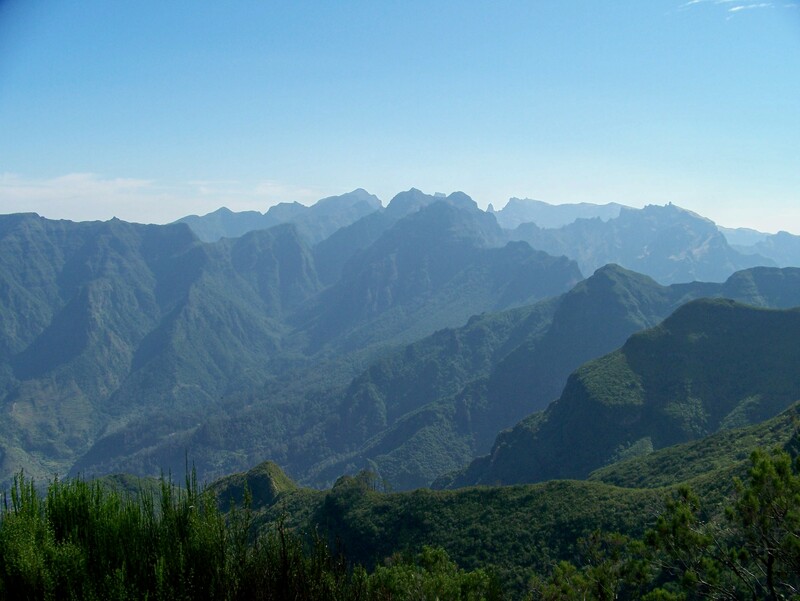 Some levadas have been hacked across the faces of sheer crags thousands of feet above the valley floor; many twist through tunnels hundreds of feet long; most have exposed sections not suitable for vertigo sufferers; all run through the most exquisite and spectacular scenery imaginable. I leave the car at a cafe on the crest of the Boca da Encumeada pass, which is where I parked for my inaugural venture into the mountains. But instead of heading east along the island’s backbone, I’m heading west with the sun. 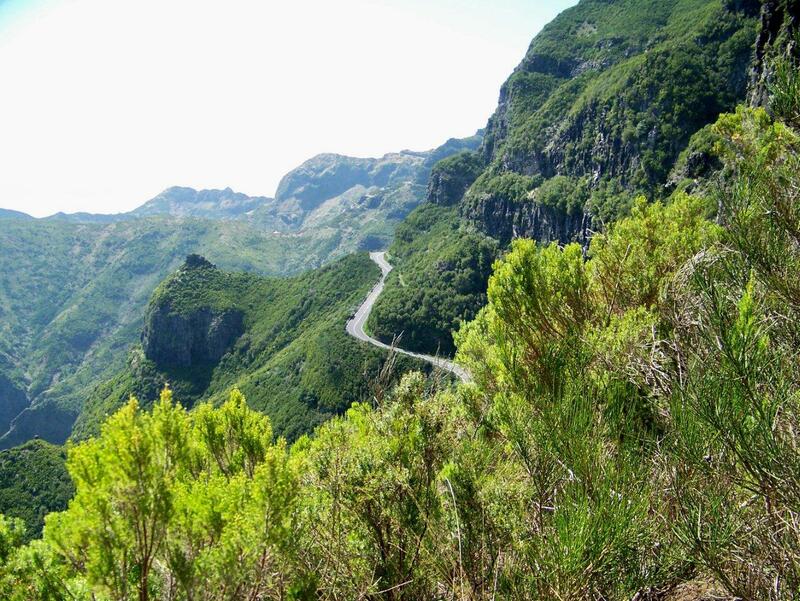 My plan is to follow a route from Paddy Dillon’s Walking in Madeira (Cicerone) several miles along the Levada do Norte, climb 1,600ft up winding tracks to just below the crest of the Paul de Serra plateau, return along the Levada de Serra and drop down to the road. The road seems far below and you may wonder how to reach it. I was rather banking on him getting me down in one piece, but there you go. This is an island of vertical craggy things, and if he’s taking me up through them, let’s hope he can get me down again. 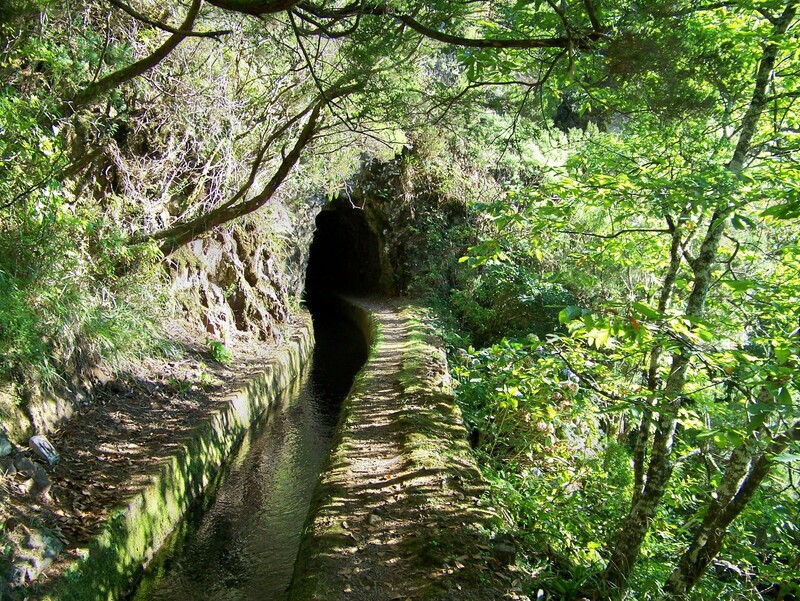 The Levada do Norte commences at Boca da Encumeada. Just beneath the crest of the pass is a bar. Men in stripy T-shirts are standing outside in the blossoming day talking about trucks. I can’t speak Portuguese so don’t ask me how I know this. I just do. It’s a man thing. 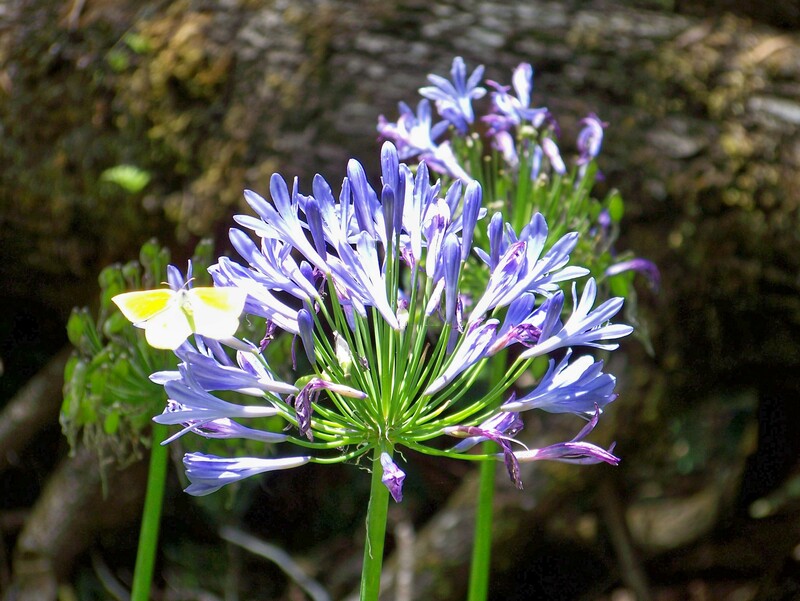 The Levada do Norte twists around a few bends through banks of hydrangeas and colourful lilies then dives into the heart of the mountain. It goes for it in a big way. It says “sod this for a game of colonial soldiers” and drags the unsuspecting walker through a narrow tunnel more than half a kilometre long. It’s an interesting experience and an adventure too. Have you ever been on a canal holiday and chugged through one of those tunnels that has a towpath running along the wall? 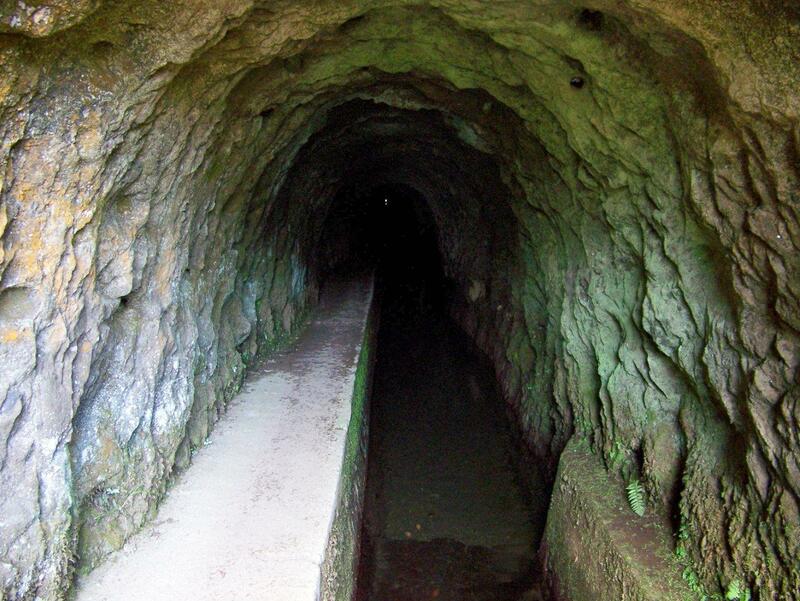 Well a levada tunnel is similar, only the path can narrow to as little as a foot wide in places, the roof is seldom high enough for a tall man to walk upright, a torch is a necessity and visibility is often poor because of water vapour. 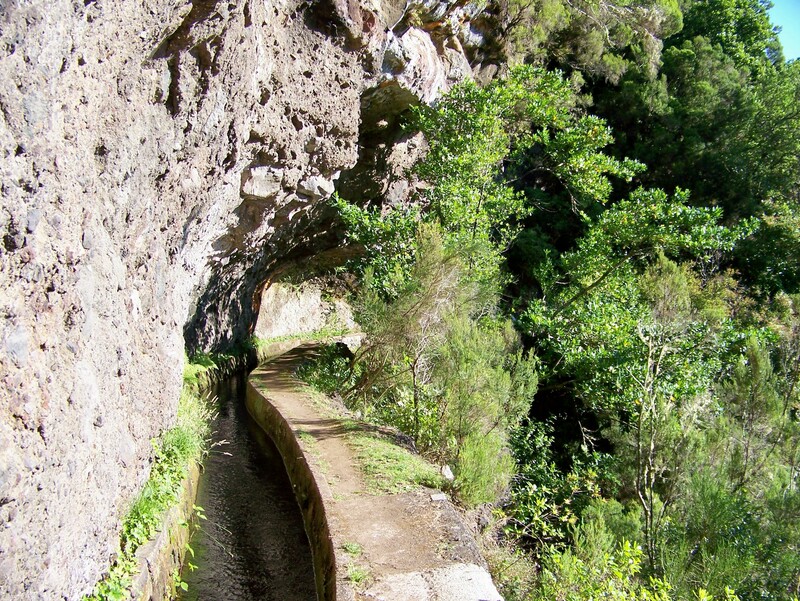 On the upside, if you tumble in the levada they are only a couple of feet deep at the very most, and the water is as clean as anything that comes from a tap. And there’s nothing that’s going to eat you. I emerge from the tunnel into the gathering daylight and gaze upon forests that fall away beneath my feet to a valley far below. 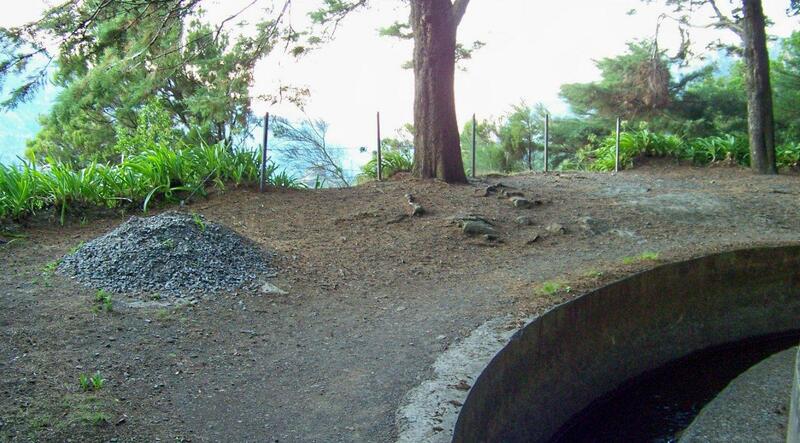 The levada, built into the volcanic rock of a cliff that is sheer in places though shrouded in vegetation, continues onwards, hugging the contour. This is mountain walking with very little effort. I could grow to like it. 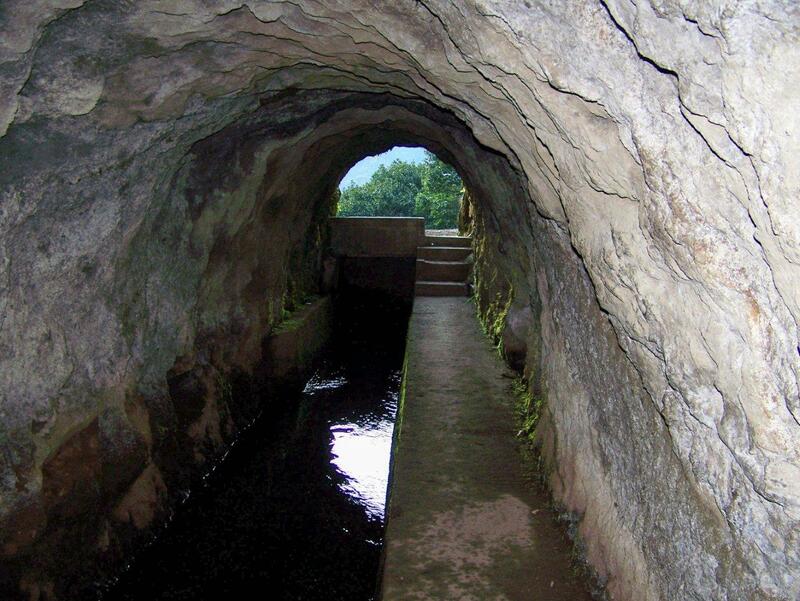 The second tunnel, which follows shortly after, is nearly a kilometre long. It takes me eleven minutes to plod from one end to the other. 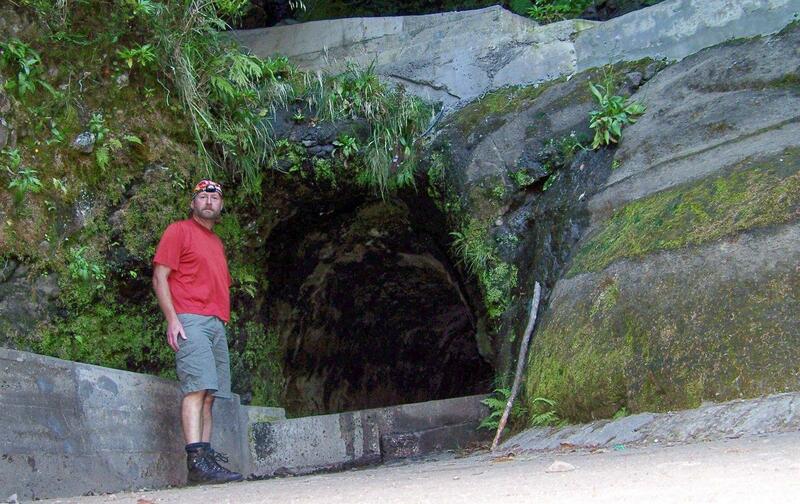 There are six tunnels altogether, although a couple are so short I don’t need to flick on my Petzl headlamp. 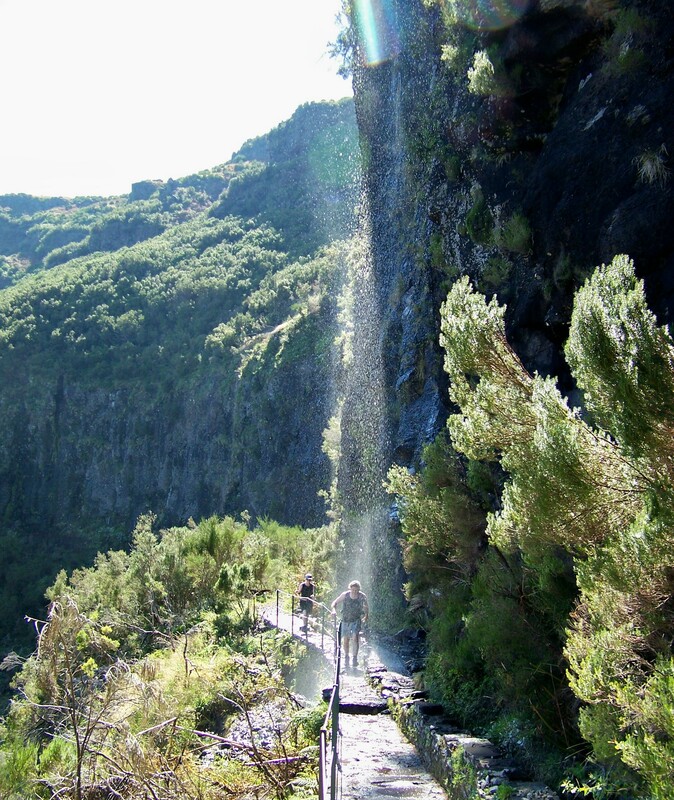 What the Levada do Norte also has in abundance is spectacular scenery – yawning chasms only a few inches beyond my right boot nearly all the way along and magnificent waterfalls cascading down the cliffs to my left. Curiously, there is little sense of exposure on these open sections. 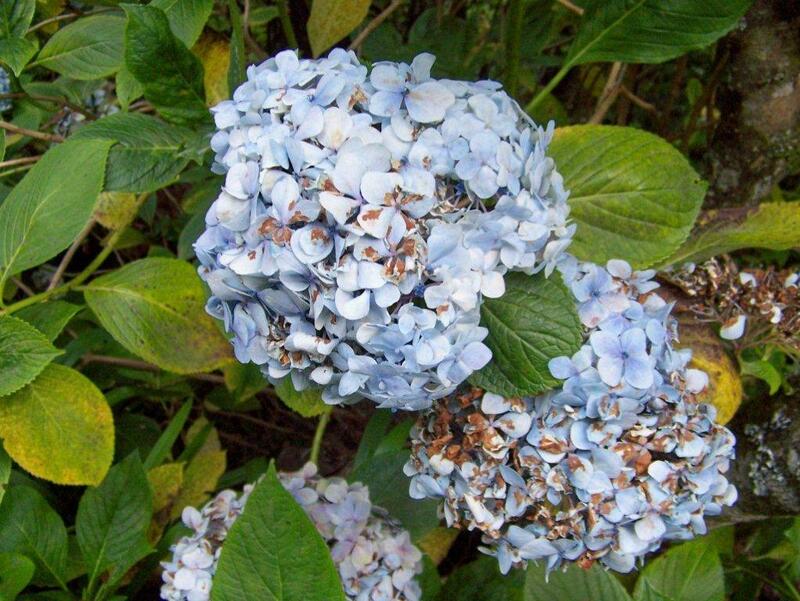 The drops to the right are masked, for the most part, by shrubs growing from the side of the levada, which enhance the sense of security no end. Safety wires have been installed on the bare bits. Only the foolhardy and drunks can come to serious harm. After several miles, in a sunny glade where a stony track crosses the waterway at a levada-keeper’s cottage (ideal job, or what? ), I partake of a spot of lunch that consists of chorizo, cheese, tomatoes and fresh bread, all of which I carve up with a sharp knife borrowed from the holiday cottage. This looks to me like a Portuguese lunch and I’m pretty pleased with it. No coffee or wine though. Little streams and drips from the cliff are gathered and flow downstream. No mention of the three waterfalls that thunder on my head and shoulders – and it’s not as if I can skirt around them. 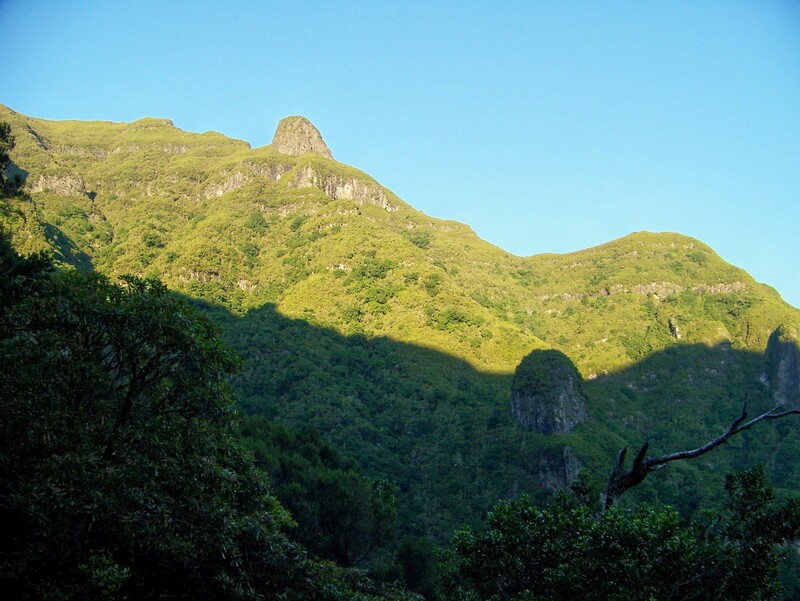 But, really, that’s all part of the experience – dark tunnels; gently-moving streams; blue skies; impenetrable forests; exotic plants; mountain breezes; darting lizards; lonely paths; plunging chasms; and waterfalls. 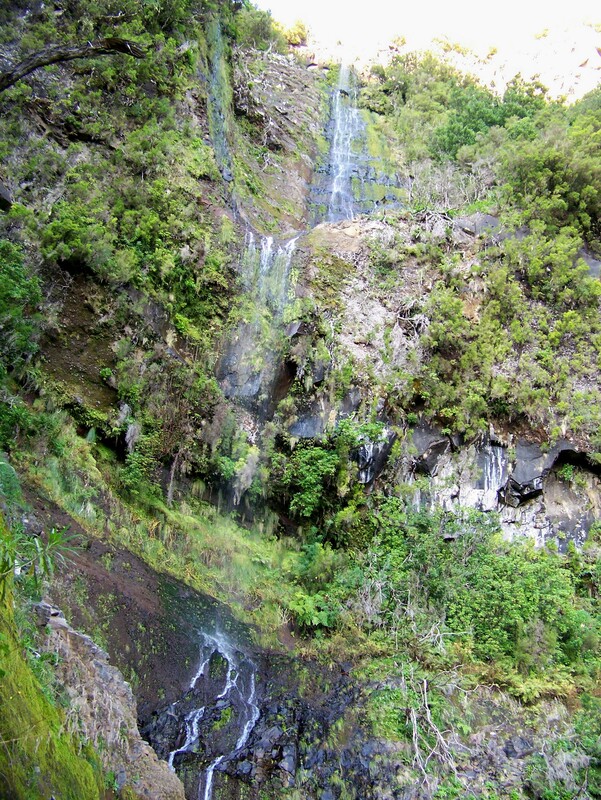 That’s what levada walking is about. And at the end of the day, having dropped down snaking paths through heather and furze to the winding road hundreds of feet below, I plod back to the cafe at Boca da Encumeada and sit in the sun with sweat on my brow and dust on my boots, drinking coffee and waiting for the night. All I need for the perfect end to a perfect day is a quick shower and a stripy T-shirt. 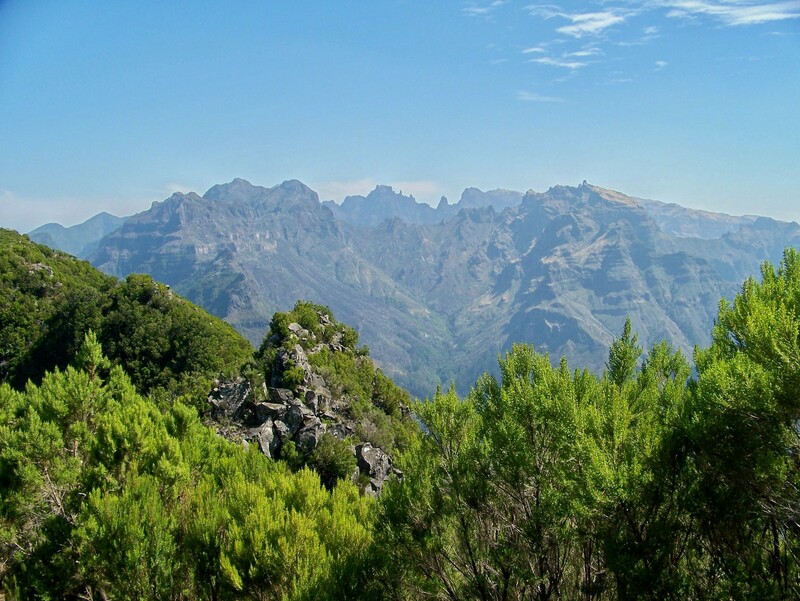 This entry was posted in Climbing, Environment, Hiking, History, Industrial archaeology, Levadas, Mountains, Walking and tagged Madeira. Bookmark the permalink. The waterfall over the German guy! Magic!! He took it in good spirits, Helen, which made me chuckle. I’d have chuckled more if I hadn’t had to go through it myself. But like he said, it was “very refreshing”. I think I’ll plump for the Vertigo and Vino Collapso. The vino collapso is always a good choice, Alan. And it saves on boot leather. 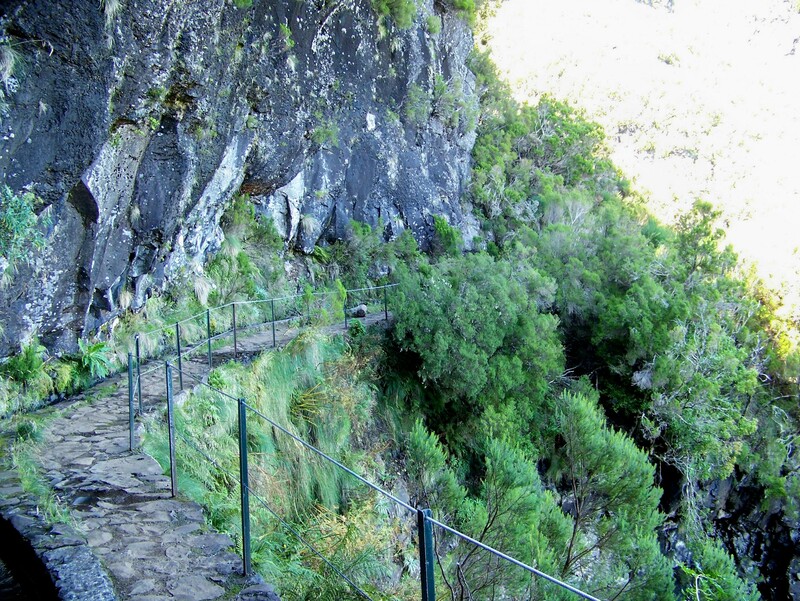 I had never even considered Madeira as a walking destination, don’t know why. 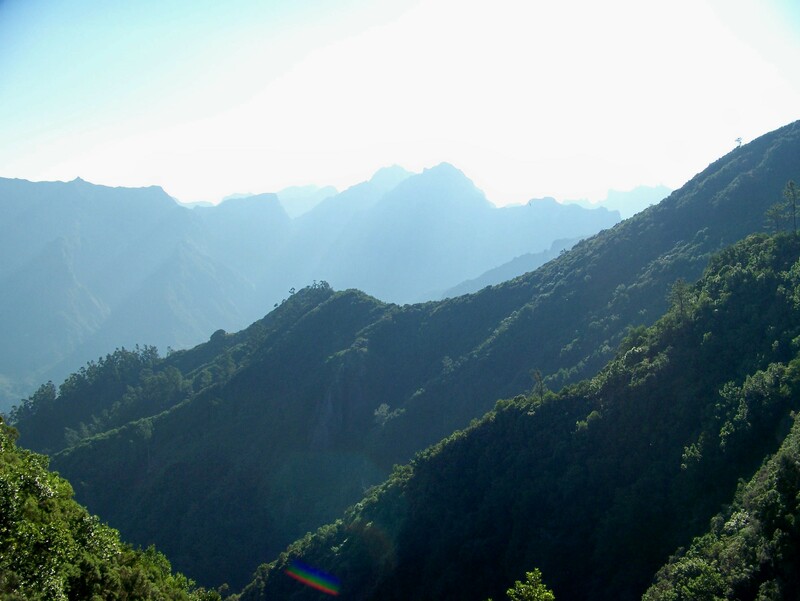 It sounds a great place though and the landscape looks wonderful. 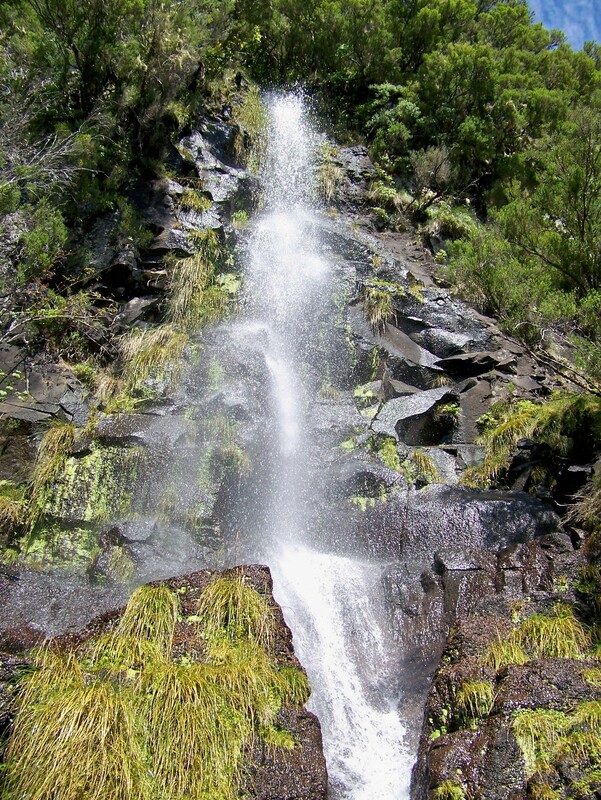 There cannot be many walks where you get a waterfall shower thrown in along the route either. It’s a great place, David. I hadn’t considered it either until a few months ago when we were looking round for somewhere to go. I was mightily impressed and I would certainly go back for another bash. I enjoyed the deer video, by the way. None of them on Madeira, though. That’s amazing. It’s a different world. We saw people picking grapes and filling buckets, but they were just stacking them at the roadside. It still looked like hard and dusty work though.